Ginger’s Soapbox: Caitlyn Jenner – Killing Spiders! Regardless of what you think about transgender individuals, you have to acknowledge that Caitlyn Jenner is one courageous chick. 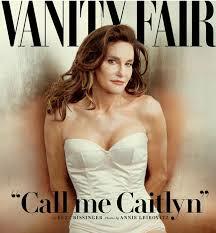 She gave up a life as a famous male athlete to become a woman at age 65 and pose for the cover of Vanity Fair. It takes a real woman to do that. Yes, Caitlyn is a real woman. She once was a man who won many awards as an athlete. Because she is now a woman doesn’t mean that Bruce Jenner was any less of a man. Any attempts to denigrate his athletic prowess should be stifled. So many of the stories and comments about Jenner are disturbing. Most disturbing is what it reveals about society’s views of women. Hello, it is 2015. Why is it so appalling that a man would want to be a woman? No one made such a fuss when Chastity Bono – daughter of Sonny and Cher – became a man. Is it because being male is superior to being female? Can we identify with the desire to be a man, but not with the need to be a woman? I didn’t choose to be born female, but I’m glad I was. I’ve always supported equality between the sexes and worked hard to overcome stereotypes that hold women back. This story demonstrates we have a long way to go, but we are lucky to have a high-profile advocate join the team. Barbara Powell on I am a 50-year-old woman!